The University of Strathclyde has today been unveiled as the new headline partner of the Sirens netball Franchise, Scotland’s biggest semi-pro women’s sports team and the only one in the country with a TV broadcast deal. 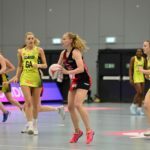 The Sirens, who compete in the UK wide Sky Sports televised Vitality Netball Superleague, will be as of today known as the ‘Strathclyde Sirens’ as part of a wider strategic partnership agreement between the University and Netball Scotland. 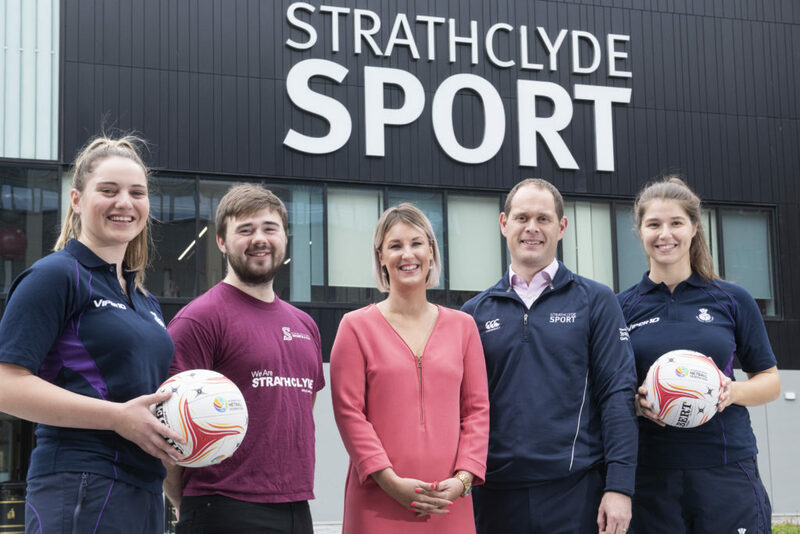 The announcement was made at the opening of Strathclyde Sport which is the University’s brand new £31m state of the art sports centre in Glasgow’s city centre. The impressive facility brings state-of-the-art training, fitness and wellbeing facilities to the heart of the University’s campus and will become the training home of the Superleague team ahead of the start of the 2019 Season in January. Claire Nelson, Chief Executive Officer of Netball Scotland who own the Strathclyde Sirens, said: “We are delighted to be able to finally announce our exciting new 3-year partnership with the University of Strathclyde. Through this partnership we will be able to access, and utilise, industry leading academic research, technology, innovation and state of the art facilities in order to enhance and accelerate the development of our sport and our athletes. By bringing together the expertise and ambition of both the University and the Governing Body, we hope to create a pioneering new approach to the advancement of women’s professional sport in Scotland, and the Strathclyde Sirens will be at the forefront of that mission”. Together the University and Netball Scotland will develop and deliver a high-performance pathway programme which prepares athletes and coaches to perform in both the Netball Superleague and on the International stage. Currently two Strathclyde students, Bethan Goodwin and Niamh McCall, play for both the Strathclyde Sirens and the Scottish National Team, the Scottish Thistles. 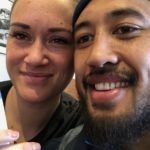 They will be joined in the team by 6 other Scots as they prepare to compete at next summer’s Netball World Cup in Liverpool, as well as two overseas signings. The Strathclyde Sirens will also provide a unique opportunity to attract, engage and educate students, enhancing the University’s commitment to delivering an outstanding student experience. Check out our logo reveal here.